Happy New year Noemi, this is my first SOL and I'm glad to take part at it! What a wonderfull yellow association of flowers you made! So I'd like to have your Digitalis Lutea! 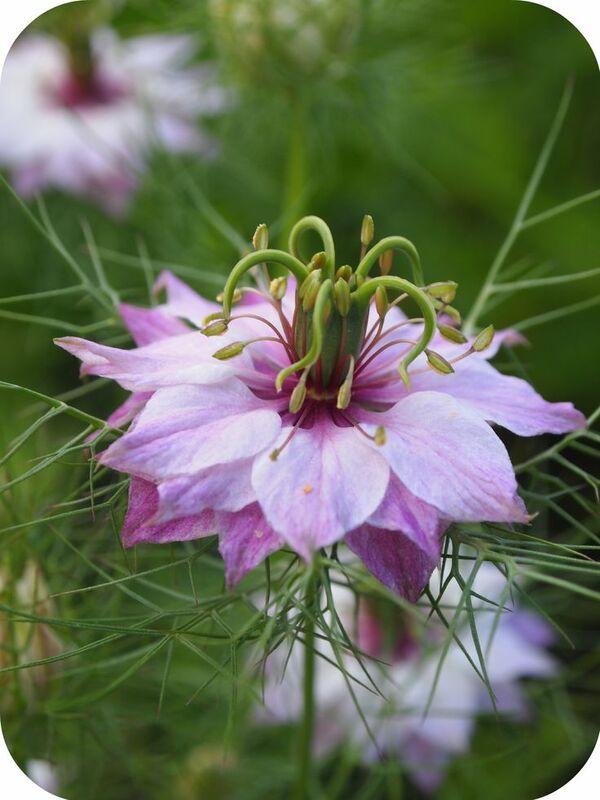 I love also the pink Nigella damascena 'Persian Rose'. Consolida ajacis 'Dark Blue'is also beautifull, it's difficult to make a choice! ;-) My number is the 20. A tout bientôt et Merci! And my first name is Evelyn! ;-) I forgot to write it. Evelyn n°20 of the SOL 2016! Hello Noemi! It's already me! 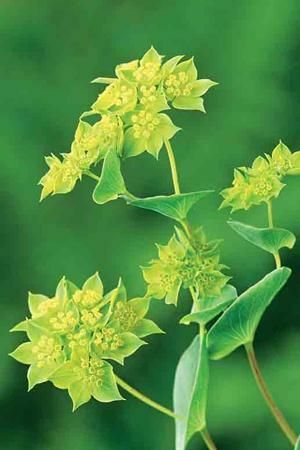 ;-) I like also Bupleurum rotundifolium 'Graffithi'. Together with the Digitalis lutea, it looks beautifull. Evelyn n° 20 SOL 2016. Happy Near Year, je découvre ton joli blog Noemi. J'aimerai tenter ma chance avec les Nigella damascena 'Persian Rose' Mon numéro est le 27. Amuses toi avec le SOL et encore bravo pour ton blog. Hello Patricia and thank you very much for your lovely comments. I noted your number and I wish you good luck for tomorrow! Hi Noémie I'am so pleased and happy to know now an London blog of a specialist of Art of gardens as you. And I like too much your selection. Can I have luck to win for nigella Persian rose, digitalis lutea, sonsolida dark blue (I try to have a cottage garden !) and centaurea Black Ball, my number is 42. Happy New Year have lot'of succès in your job. Hello Martine, thanks for visiting my blog and taking part. All noted...and wishing you good luck! happy new year Noemi. I'm number 51 and I like Nigella persian rose, Bupleurum graffithi et Centaurea black ball. Hello Joan, thank you for the good wishes and good look for tomorrow's draw! Hello Eliane, thank you very much for taking part. I took note of your wishes, but I see there are other 2 Eliane among the participants. Which one is your number? Bonjour Noémie et meilleurs vœux pour cette nouvelle année, je tente ma chance pour : les nigelles roses et le bupleurum. Merci d'avance, Fabienne n°32. Bonjour Noémie, tous mes voeux pour cette nouvelle année. I took note of your wish and keep finger crossed! hello and happy new year. I am Angélique. I wich the digitalis lutea. My number is the 78. thank you soo much and have a nice day. Bonsoir Noemi et belle et douce année 2016 - Je suis le N°76 et je suis tentée par Centaurea cyanus 'Black Ball' et Consolida ajacis 'Dark Blue' - Merci pour ce partage et bon SOL 2016 - Sylvie F.
Ciao Laura, grazie mille per gli auguri, che ricambio...Il pupo potrebbe arrivare da un momento all'altro e non vediamo l'ora! In bocca al lupo per l'estrazione di domani... e tanti vivaci calcetti dalla mia pancia! Hi Noemi I wish you a happy new year. What a lovely selection. I particularly like your Nigella "persian rose". My number is 75. Enjoy your SOL. Hello Celine :) thank you for taking part, I just took note of your wishes and I wish you good luck of tomorrow! all best! Happy Newyear Noemi, all my best whishes for 2016, i hope that all your wishes come true. Hello Gonda! All noted. Thank you for the good wishes and good luck! Hi Noemie and welcome to the Seeds of Love. I'm number 43 and like to try for digitalis lutea, bupleurum rotundifolium graffithi & centaurea cyanus black ball. My very best wishes for this new year. Hello Eliane! Thank you for your good wishes and for taking part! Bonsoir Noémie. je tente ma chance pour la digitalis lutea, la nigella "persian rose" et la consolida "Dark Blue". J'ai le n° 70. Merci d'avance si tu me tires au sort, belle année fleurie et beaucoup de succès dans tes projets. Amitiés. Hello Francine, thanks for your lovely words. All your wishes are in my notes and I wish you good luck for tomorrow's draw! I will be very happy if I win seeds from Nigella damascena 'Persian Rose' and Bupleurum rotundifolium 'Graffithi'. Je tente ma chance avec la photo N°2 la Nigelle bon amusement , mon N° est le 77 , à bientôt ! Happy new year Noemi !! My number is 84 , I'm interested for the Bupleurum rotundifolium , the centaurea cyanus black and the consolida ajacis dark blue. All noted and soon ready for the draw! Good luck! Ciao Simonetta! Si, le tue forbicine sono VERGOGNOSAMENTE ancora impacchettate sul mio comodino da mesi, in attesa di aver un attimo di respiro per pesarle ed andare alla posta! Rimedierò presto e, pupo permettendo, spero vederti in Vincent Square! :) Un abbraccio e buona fortuna per domani!!! Bonjour Noemi, je te souhaite une très belle année 2016, pleine de petits et grands bonheurs.... J'aimerais tenter ma chance pour le bupleurum "graffiti " et la centaurea "black ball". J'ai le numéro 99. Belle soirée à toi et à bientôt. Hello Sofie, thank you for stopping by and for taking part. All noted, good luck for tomorrow's draw! All best and thanks again! Hello Noemi. N°121, I am interested in centaurea black ball. I wish you a happy new year. hello Noemi..... 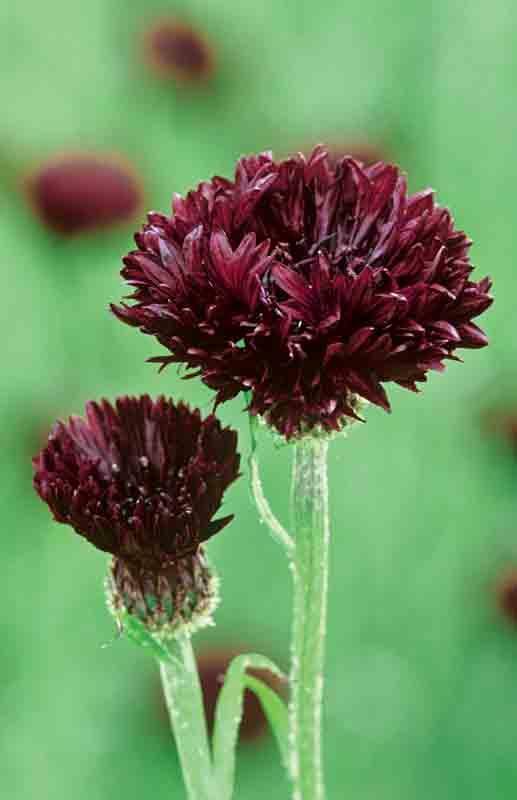 I'm very tempted by the Centaurea cyanus 'Black Ball' so pretty ... i try my luck with the n° 6 ...... Friendships gardener .... soon on SOL. Bonsoir Noemi, je suis tentée par tes digitalis lutea. J'ai le n. 103. Bises fleuries d'Italie et bon SOL ! Hello Noemi, I'm Cori Met No 60 from SOL and like Bupleurum rotundifolium 'Graffithi ,Centaurea cyanus 'Black Ball'. Bonjour Noémie, meilleurs vœux pour cette nouvelle Année 2016 et plein de bonnes choses pour le petit bébé qui va bientôt faire votre bonheur. Hi Noemi, I'm Katia (96). I play for Centaurea "Black Ball". Thanks a lot. Good SOL. Nigelle, Bupleurum, Centaurea et Consolida. Hello Anick, thank you for taking part and good luck for tomorrow's draw! Bonjour Noémie, je suis le n° 128 et je tente ma chance avec tes nigelles de damas rose ainsi que ton Bupleurum rotundifolium 'Graffithi'. Je te souhaite un très bon week-end, bises. I would like to have in my garden in the south of France: Digitalis lutéa, Bupleurum rotundifolium, Centaurea cyanus and Consolida ajacis. Hello Noemie! Happy New Year! I am n°136 and I am interested by your Nigella 'Persian Rose'. See you soon and Thank you very much ! Hello Noemie ! I am very exiting to participate for the first time at SOL . I have the number 145 et I try my luck with seeds digitalis lutea, nigella persian rose, centaurea cyanus black ball. Thank you ! Hello Noemi, I'm the last minute visitor! I would like to play for Bupleurum rotundifolium 'Graffithi'seeds. My number is 41. I wish you all the best and I'm sure you will have a wonderfull year because of your baby arrival! very interesting article.. i am very exiting to participate for the first time of Seed of Love.. thank you for this blog Have a good day!